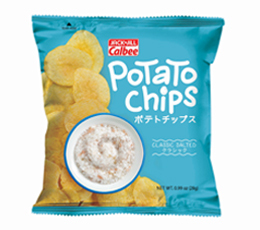 A treat for the adventurous, Universal Robina Corporation brings you the leading snack brand from Japan, Calbee! With its wide range of innovative and dynamic snacks, Calbee definitely offers an authentic Japanese experience with every bite! The hunt for honey butter flavors ends here! 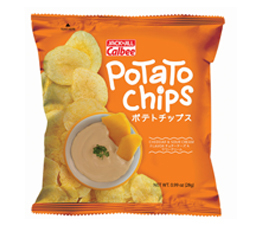 Calbee Honey Butter Potato Chips has made it to our shores. Get onboard with this delightfully exciting flavor craze that will keep you snacking for days! 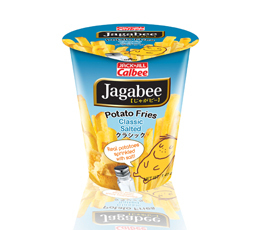 Take your regular chip snacking to another level with Calbee Potato Chips! 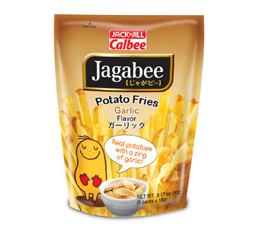 Made from real potatoes and seasoned only with the best flavors, potato chips have never tasted this good! 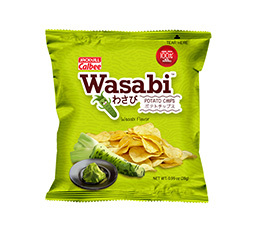 Enjoy popular flavors Cheddar & Sour Cream and Classic Salted or add spice to your life with wild Wasabi. Enjoy real potato fries packed with a flavorful crunch and crisp for a snacking experience beyond expectations. 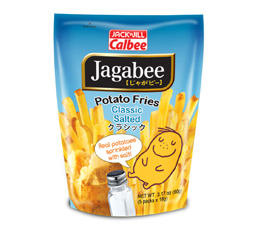 Jagabee is available in Cheese and Classic Salted flavors. 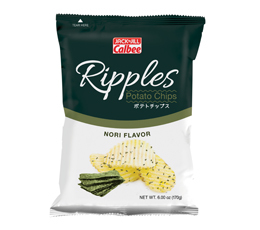 Make way for wavy-cut crisps from Calbee Ripples Potato Chips! Choose from a uniquely Japanese Nori, or delectably tangy Sour Cream & Onion flavor! 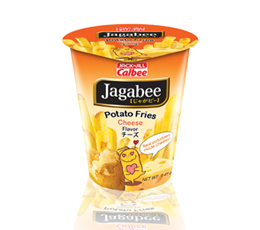 Snacking will never be the same with Calbee. Crisp, flavorful potato fries in Cheese, Classic Salted, and Garlic flavors. 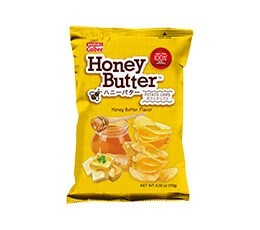 Thinly sliced potato chips flavored with rich honey and delectable butter. 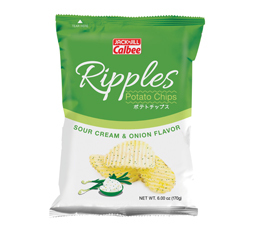 Your favorite potato chips in Cheddar & Sour Cream, Classic Salted, and Wasabi flavors. Wavvy-cut potato chips that bring out more intense flavors of Nori, and Sour Cream & Onion.